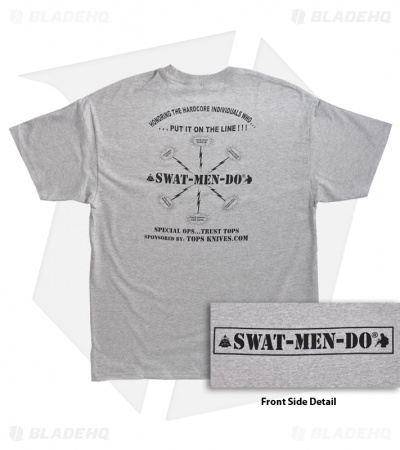 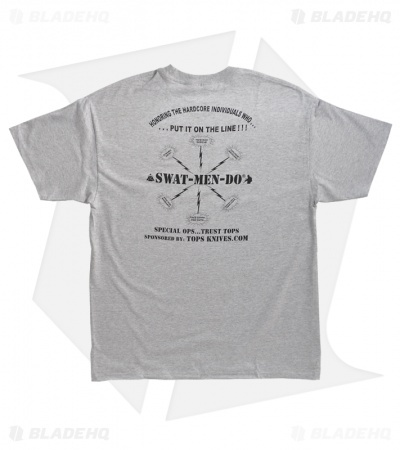 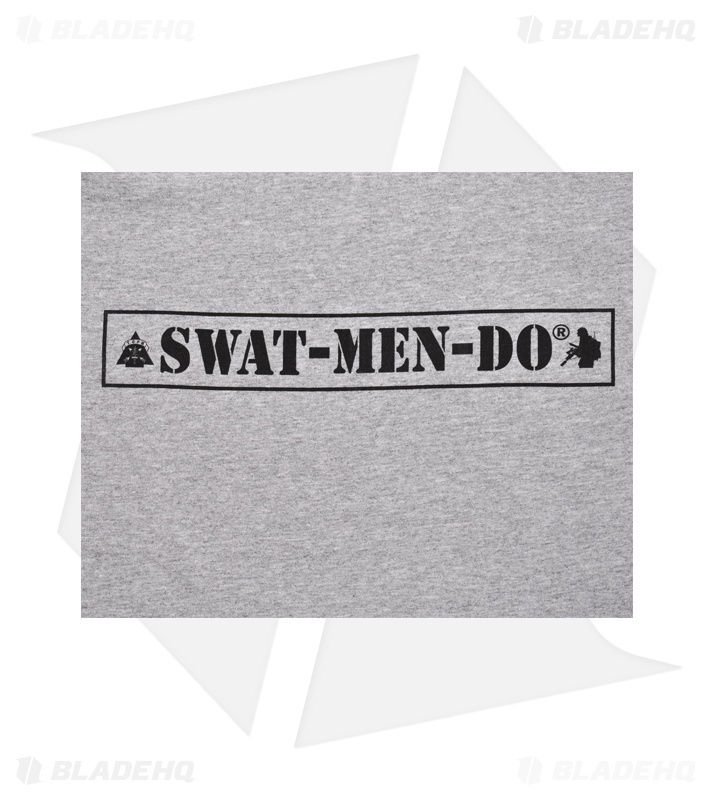 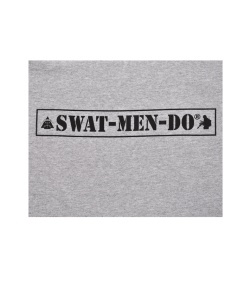 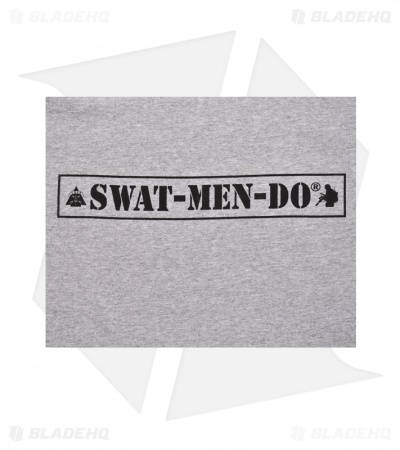 TOPS SWAT-MEN-DO grey short sleeve t-shirt with black screen print front & back. 90/10 cotton/polyester. Available in Large and X-Large. Please choose your appropriate size from the drop down menu.